Home » A “New Birth of Freedom” for Serbs? A really remarkable chain of events has been happening to Serbs during recent months and weeks. It started at the end of 2016 and continued even faster with the beginning of 2017. Firstly, a proven enemy of Serbs, Hillary Clinton, lost the US presidential election, which was immediately met with rejoice among Serbs, especially in the contested territories. I say lost, because the victory of Donald Trump is not seen as an immediate benefit because of Trump’s qualities, but because the Clinton family has special interest in favoring all Serbian enemies in the Balkans. Bill Clinton ordered the bombing of Serbs, first in Bosnia-Herzegovina in 1994 and 1995, and then in the Federal Republic of Yugoslavia (today’s Serbia and Montenegro) in 1999. This is why it should not be a surprise that Serbs in Kosovo, Montenegro and Republika Srpska (the Serb part of Bosnia-Herzegovina) erected huge billboards with Trumps face and a message reading “Serbs stood by him all along”. The second important event was the visit of Russia’s Foreign Minister, Sergey Lavrov, to Belgrade on December 12th and 13th at a time when he was in the middle of very intense diplomatic activities surrounding Syria. This visit took place during the peak of operations for the liberation of Aleppo. Visiting Belgrade at such a moment clearly signals the place of Serbia on Russia’s foreign policy agenda. Yet even more important was the fact that this visit sealed the deal by which Serbia is to receive a donation of six MiG-29 fighter jets by March 2017. Thirdly, in spite of immense Western pressure spearheaded by the once powerful ‘viceroyal’ Office of the High Representative of the ‘international community’, nowadays occupied by Austrian diplomat Valentin Incko, as well as despite the pressure marked by both protests and warmongering threats from the Muslim leadership of Sarajevo, Republika Srpska celebrated its official holiday in memory of its founding on January 9th, 1992. The anniversary celebration in Republika Srpska’s capital, Banjaluka, took place on the Day of St. Steven, who is the patron saint of the Republic. This year, the celebration contained an element of well-balanced demonstration of power. Part of it was a parade in which participated, among others, the Republika Srpska’s special police forces who marched in camouflage uniforms with Kalashnikov assault rifles. Sarajevo and Incko also opposed the ceremonial participation of the 3rd Infantry Regiment of the Bosnia-Herzegovina armed forces, designated as the keeper of Republika Srpska Army traditions after the post-war creation of a unified armed forces. They were invited by Mladen Ivanić, the Serb member of the Bosnia-Herzegovina three-men presidency. Their presence demonstrated that Bosnia-Herzegovina is not an effective state and that Serbs are loyal to the Republic for which they sacrificed during the civil war. Besides Ivanić and the President of Republika Srpska, Milorad Dodik, the celebration was attended by President of Serbia, Tomislav Nikolić, Patriarch of the Serbian Orthodox Church Irinej, Serbia’s armed forces Chief of Staff General, Ljubiša Diković, Serbian Crown Prince Alexander, leaders of Serbs from all former Yugoslav republics, and other high guests. Notably, Serbia’s pro-globalist PM, Aleksandar Vučić, was absent, being away on a several day visit to India where he was participating in the ‘Vibrant Gujarat’ business conference. Vučić was the only Serb leader who supported Hillary Clinton, as he was a guest at an event organized by the Clinton Foundation. Vučić is now trying to get back on track with the new reality by attempting to establish connection with the entourage of the new President of the United States. The celebration in Banjaluka was a demonstration of willingness to defend the results of the 1995 Dayton peace agreement which is constantly being undermined at the expense of Republika Srpska by attempts at centralizing Bosnia-Herzegovina by both the Muslim leadership in Sarajevo and the High Representative. President Dodik’s most important political message was that if the pressure continues, Serbs are ready to defend themselves and proclaim full independence of their Republic with the right to join Serbia in the future. What really frightened Muslim leader Bakir Izetbegović is that Dodik was invited to Donald Trump’s inauguration, which is perceived as a clear indicator of some new winds blowing in the Balkans. However, in a move unheard of before, the outgoing US administration refused to issue a travel visa to the guest invited by the president-elect. The ‘lame duck’ administration went even an extreme step further: only three days before the inauguration, the State Department imposed sanctions against Dodik personally (ban on travel to the US and freezing assets in the US, non-existent in this case). This unprecedented scandal is just another in a series of moves by which Obama’s outgoing administration aimed to hinder the new president. And this is not the end. All Serbian opponents in the region seem to have lost their common sense. Albanians are notorious for building a monument to Bill Clinton and naming a boulevard after him, as well as a clothing shop after his wife, Hillary. It is no surprise that every Albanian leader has supported Clinton. Some of them, like the PM of Albania, Edi Rama, went as far as to insult Trump during the campaign. Rama was so sure of his political predictions that at the Belgrade Security Forum in October 2016, in front of many journalists, participants and his fellow panelist, Serbian PM Vučić, he exclaimed how sure he is on who will be the next US president, and that it certainly would not be Trump. Bosnian Muslim leader Izetbegović organized rallies in support of Clinton. He is not at ease with Trump because of the latter’s attitude towards radical Islamic terrorism, and Izetbegović has well known ties with the Muslim Brotherhood. His father, Alija Izetbegović, was the first to introduce jihadi warriors in Europe during the 1992-1995 civil war in Bosnia-Herzegovina. Those courted included Osama bin Laden, who was granted the citizenship and passport of Bosnia-Herzegovina. Croats also supported Hillary, but were more tactical about it in taking care not to show any open dislike for Trump. However, they made another huge incident. During his official visit to Kiev, Croatian PM Andrej Plenković offered his hosts to share Croatia’s ‘know-how’ and experience of ‘reintegrating’ rebellious territories. The Croatian example is that of ethnically cleansing more than half a million Serbs and committing numerous other war crimes in the process. Plenković essentially suggested that the Croats would help the current authorities of Ukraine to get rid of the Russian population. This provoked a harsh reaction from Moscow. But instead of backing off, Plenković reaffirmed his position, which provoked Russia even more. In the context of Trump’s victory and a possible new global deal between Moscow and Washington, these statements were more then harmful for Croatian interests. Earlier in 2016, Brexit announced a year of great changes and, most importantly, the fall of the EU, which is in a state of utter confusion and submerged in political divisions. On top of this, the US President-elect predicted its demise in his interview to The Times just days before taking office. This might as well be the case. Let us not forget that after Slovenia’s succession, Yugoslavia still formally existed, but it was in effect broken, never to recover. The EU without the UK is not and never will be the same, even if it survives in one form or another. Another important statement that Trump made in this interview was labelling NATO obsolete. One of the consequences of this statement in the Balkans is that pro-globalist political elites have lost the ideological ground under their feet. This especially goes for Montenegro, whose ruling class dominated by the unchallenged leader Milo Đukanović is now absolutely lost since Euro-Atlantic integration, Russophobia, and Serbophobia are all they have to offer nowadays. Now that the future of both the ‘Euro’ and ‘Atlantic’ communities is questionable, they have nothing to offer. Montenegro has already been in deep political crisis since the October 2016 parliamentary elections. The only logical—and in my deepest belief inevitable—result of this political and ideological crisis will be a Serbian Spring in Montenegro, and an urge for unification with Serbia and Republika Srpska, which would not be the first time. 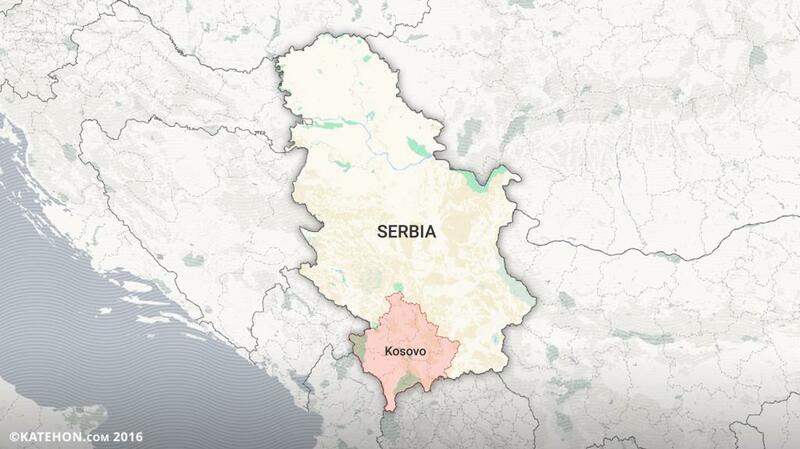 That state of new affairs is obviously putting pressure of Serbia and Serbs in the region. This was clear after the arrest of the Kosovo Albanian terrorist leader, criminal lord and at one point PM, Ramush Haradinaj, in France on a Serbian warrant for a number of horrendous war crimes. Before this new wave of confident statements by Serbian officials, probably the only politician in power throughout the Serbian space who predicted these new tendencies and acting accordingly, meaning independently, who was therefore respected home and abroad, was Republika Srpska’s President Dodik. All of these swift changes in the world — Brexit, Russia’s diplomatic and military victory in the Middle East, Trump’s electoral victory, etc.—seem to have come as unexpected gifts from sky to the Serbs. Serbs are simply not used to such good news. We have been trained to lose and take it like a sport or with a pinch of salt since 1991, the beginning of the breakup of Yugoslavia. Maybe this had an even earlier tradition, since 1918 when the Serbs gave up their own statehood and invested a million and a half lives lost in WWI for a vague “brotherly” Yugoslav identity that failed in 1941 and in 1991, both times with the Serbs betrayed by the ‘brotherly peoples’ with high price in human lives. So what should we make of this, and will Serbian leaders, including those present and those coming in the near future, be capable of capitalizing on these global changes? Although one should not compare two historic periods - since history almost never repeats itself - there is a striking parallel in US-Russia relations today and during the American Civil War. In the 1860’s, Russia was an ally of the Union and President Abraham Lincoln’s struggle that resulted in ending slavery, while the UK was helping the slaveholding South and invading Crimea just several years before. Nowadays, Russia obviously has sympathies for the new American administration, while many Western leaders and interest groups— whom Alexander Dugin, using Trump’s terminology, generically calls the “Swamp”- openly despise, oppose and almost reject the expressed will of the American people by dismissing the democratic process as “populism”. In 1863, probably the greatest US president and Republican Party leader, and Trump’s predecessor in the oval office, Abraham Lincoln, gave a famous speech known as the “Gettysburg Address”, on the site of a battlefield that saw grand sacrifices of both the Unionist and Confederate soldiers. Talking about the post-war US, Lincoln predicted “that this nation, under God, shall have a new birth of freedom”. It seems that 2017 might give an answer as to whether or not this unique historical moment in international relations will mark the beginning of a “new birth of freedom” for the Serbs on the Balkan Peninsula.